We've all been there; rolling in during the early hours of the morning and being too tired to do anything other than falling onto the bed to go to sleep. But you're doing your skin a whole lot of harm by keeping your make-up on overnight. To hopefully teach you a lesson for all those times you've kept the cosmetics on, here we list the risks that come with keeping a face caked in make-up while you snooze. Make-up itself won't give you an infection, but if you have a cut or inflamed pimple that you've covered up with foundation, powder or concealed, this could cause even more irritation. When our skin's barrier is damaged, you're at risk of letting all sorts of germs in, so don't let your favourite blusher cause chaos. As for mascaras and eyeliners, these can cause a lot of irritation if left on and can really ruin your eyelashes, causing them to become brittle and easily breakable. The more layers of dirt on your face, the more likely you are to develop spots. 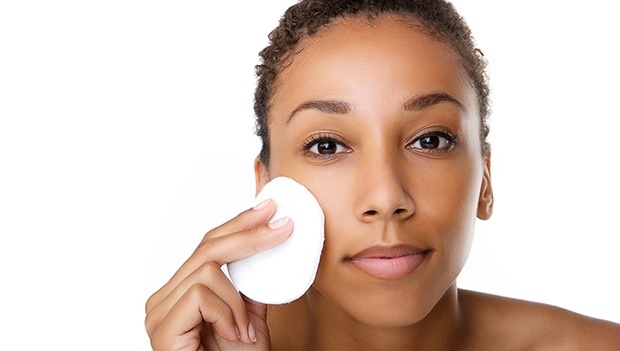 Make-up clogs up your pores and suffocates your skin, which can lead to all sorts of havoc on the surface. Excess oil will build up too, giving you a greasy complexion ripe and ready for pimples. No thanks! All the toxins and pollution in the air around us is known to make us appear older than our years, and even more dirt can be caught up in the products you apply to your face. By not cleansing your skin and taking your cosmetics off, you're simply letting everything build up and change your appearance - in this case, not in a good way. So many lipsticks out there are super drying, leaving your pout parched. If you don't take it off and nourish your lips after a night out, then things are only going to get more cracked and sore. Take it off and add a helping of lip balm. Is this enough to scare you for life about leaving make-up on? We hope so! Make sure you always have cleanser, whether it's liquid, cream or wipes, on hand and take that extra five minutes before bed to get all your make-up off - your face will thank you for it in the morning!